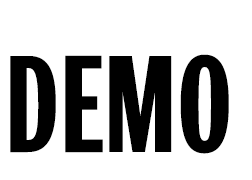 DEMO seeks Columbia alumni professional photographers for freelance gigs. We generally need Chicago- and Midwest-based photographers, but we are always looking to build our stable of excellent alumni photographers across the country. A cover letter describing your connection to Columbia and your professional photography experience. Direct links to your most pertinent portfolios. Please email Kristi Turnbaugh, editor-in-chief, at demo@colum.edu. No phone queries, please. Please allow two weeks for a response.